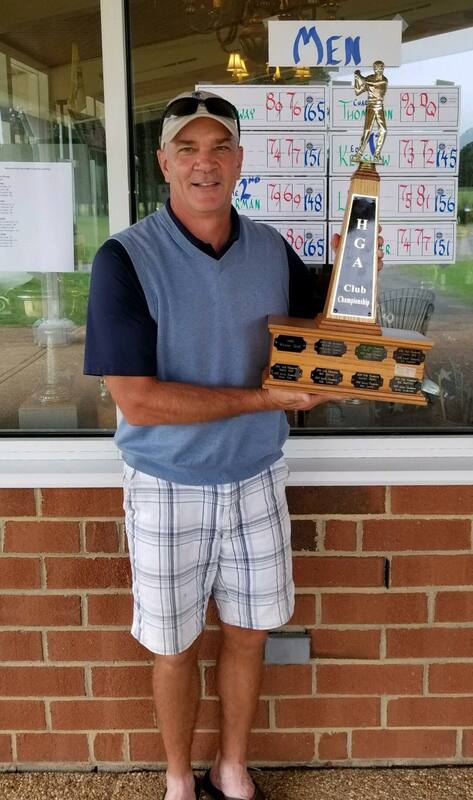 Hillandale Golf Course has new Champion Golfers of the Year in both divisions! Ritchie Fesperman shot the low round of the day, 69, in an attempt to overcome Ed Kershaw, but it wasn’t meant to be. Ed played two solid rounds, and his second round 72 gave him enough of an edge to win by three strokes. 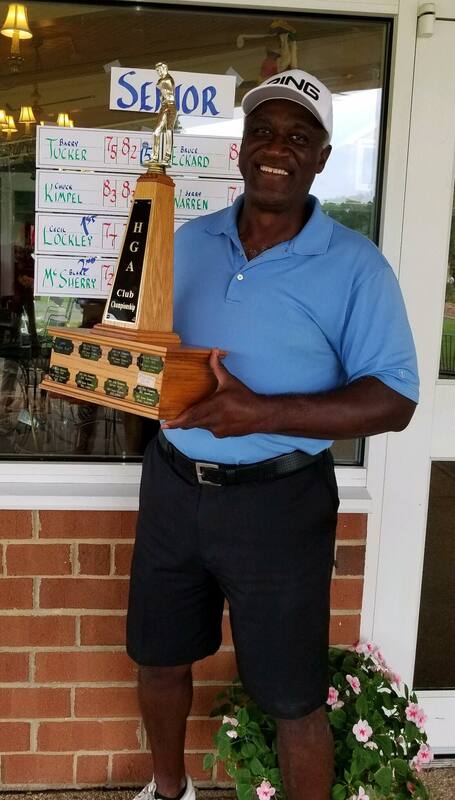 Cecil Lockley trailed Blake McSherry by 5 strokes heading into the second round but managed his way around the course to shoot a 71 to beat Blake by two strokes. 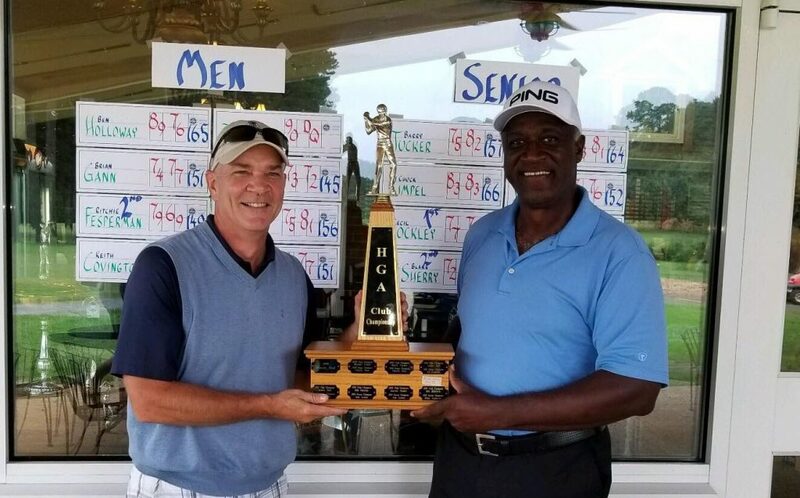 Congratulations to all the golfers who played! Ritchie and Cecil earned their own parking spaces for the upcoming year! Wear your Jersey, Get $5 Off! 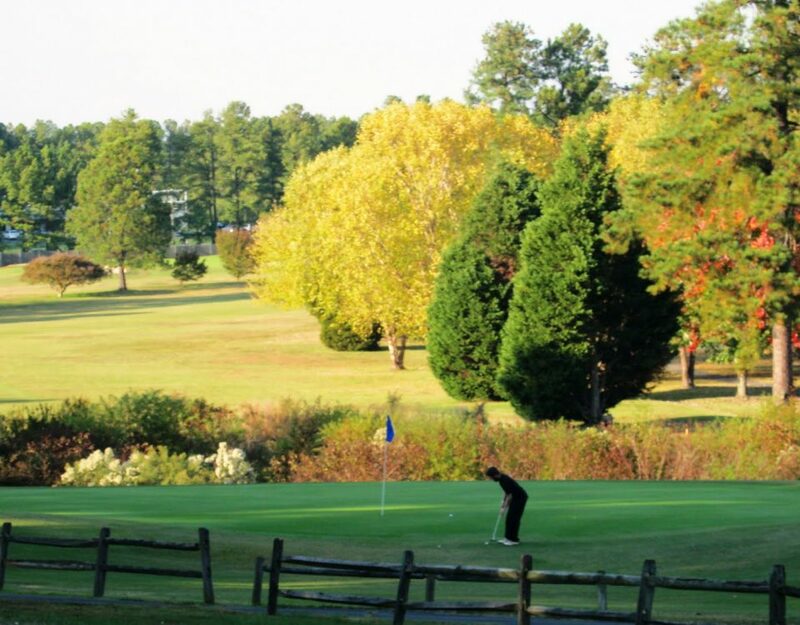 Open to the public, and featuring the nationally-acclaimed Hillandale Golf Shop, the course features four distinct teeing areas, ranging from 4,954 yards to the 6,339 yards from the back tees. 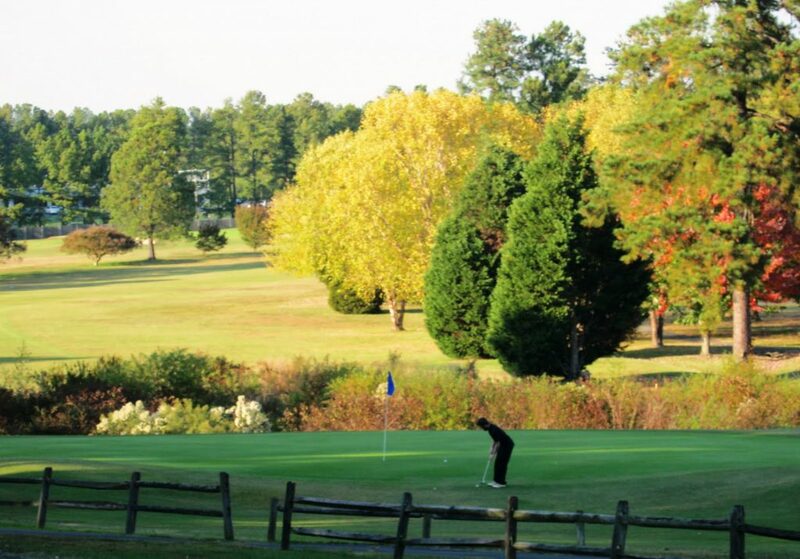 The course provides a challenge to golfers of all skill levels.